Almost every yard suffers from at least one shady spot. Those barren, unattractive eyesores challenge gardeners everywhere. Luckily, many plants prefer the shade. They bring color and interest to even the most shadowed backyards anywhere, even in Northern Texas. USDA Hardiness Zones 6 through 8 make up the Texas area north of Dallas. Several shade plants tolerate the regional climates, many of which require little or no special care. 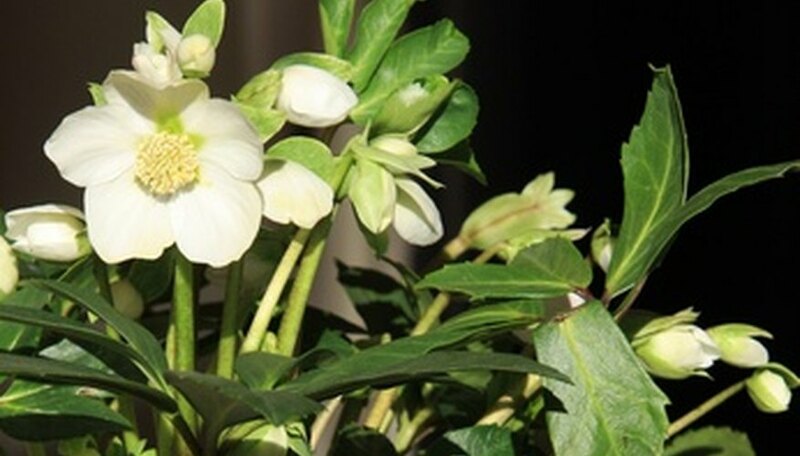 Lenten Rose, or Helleborus, belongs to the Buttercup family. Plants range from 12 to 24 inches high and 24 to 30 inches wide. This slow grower exhibits leathery, evergreen foliage and flowers ranging from delicate pastels to vibrant shades of red, purple or almost black. The colorful blossoms brighten shady spots during the late winter and early spring months, and blooms last up to two months. Plants spread and naturalize well under trees. They prefer partial to full shade and moist, but well-drained, soil. Perfect for northern Texas, Lenten rose is hardy in USDA zones 9 through 4. Gold Heart bleeding heart, or Dicentra spectabilis, colors the shadows with both foliage and blooms. Plants reach 24 to 36 inches high and 18 to 24 inches wide. Rose-colored, heart-shaped flowers appear on the gold-tinted, delicate foliage in spring. The fast-growing perennials need partial shade and moist soil. Water frequently during the summer heat to establish deep, healthy roots. Gold Heart may die back or droop slightly after blooming. Plants resist pests and disease fairly well. This plants does well in zones 8 through 4. Astilbe, or false spirea, makes a beautiful shady plant. Fern-like foliage and feather-like blooms add interest and color to the shadiest spots. Depending on the cultivar, plants reach 18 to 48 inches high. The dark green foliage showcases flowers of pink, white, red, purple or peach. Astible blooms in the summer and couples well with early spring bloomers. Water frequently during the summer heat and fertilize plants in the spring and fall. Astilbe tolerates climates in a large growing area, hardy in zones 9 through 4. Angela Nelson is a virtual assistant and professional writer. She has been publishing online articles since 2008 for various websites. Nelson has a passion for small business and flower gardening, which is portrayed in her writing.